It is the study and wisdom pertaining to the motions of the sun, moon, planets and stars and their influence on nature, the earth, and man's life and ultimate destiny. This is the oldest science according to scholars. 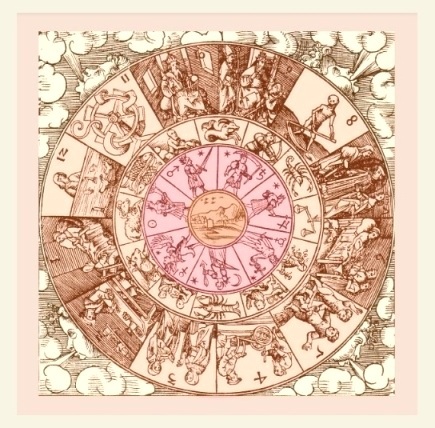 Mundane astrology, which is one of the most ancient forms of this study, was practiced by Chaldean priest-astrologers as far back as 5,000 to 6,000 BCE. Mind you, that is only an estimate. No expert or archeologist has found any artifact earlier than the Chaldeans. It can actually be much earlier, but no older carvings have been uncovered yet. The most ancient proof of organized and methodical astrological charting is the sky map of the Chaldeans. Found in Nineveh, the sky map is around 5,800 years old. The date is based on a modern rendering of the position of constellations on the Chaldeans' planisphere or star chart. The planisphere is in fact a star instrument called an astrolabe. Now aren't the Chaldeans amazing to have been so sophisticated with very little resources? The study of the heavenly bodies was a very important science, or the ancient people would not have invested time on astrological infrastructure and study. Contrary to popular belief that astrologers were mere pseudo-scientists, most astrologers from ancient times were highly respected and learned personages. They were no-nonsense scientists and mathematicians. Centuries ago, many scientists whose main preoccupation was not astrology also studied it and made use of it. One of these scientists was Polish astronomer and monk Copernicus (Niklas Kopernik). Copernicus revived the ancient Greeks' sun-centered orbital system in the 16th century. During that time in Europe, people believed the earth was the center of the universe. Many scholars believe that Copernicus' thorough study of the stars led him to reconsider the assertment of Aristarchus that the earth is just one of the planets revolving around the sun -- and is not the center of the universe. In ancient times, our ancestors were so much more in tune with nature. Astrology was borne of counting on the sun, moon and the stars to guide and inspire them in their day-to-day living. The older civilizations, perhaps in an effort to more fully understand the movements of heavenly bodies, created anthropomorphic gods and goddesses of the sky. These gods and goddesses and their temperaments depict the forces set to motion by the different positions and movements of the heavenly bodies. Our ancestors believed that these celestial deities impose their will on man's life and earth. The ancient people also believed that they guide man's life, nature and the earth. This wisdom showed that man's life and destiny were intertwined with the workings of the universe and is a smaller expression of the entire cosmos, the microcosm-macrocosm principle. There is an interesting discussion on the powers of divination using astrology and other mystical methods here. 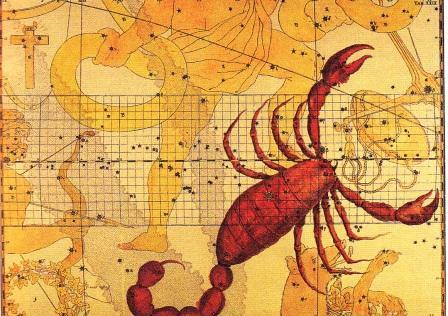 Return from this page to Astrology Symbols? You can also read more on the Zodiac here. Go back to the Symbolisms homepage here.